Arsenal and Liverpool battled to a 3-3 draw here as two of the English Premier League (EPL)’s most-potent offenses put on a show, though it was defensive lapses that proved decisive. Phileppe Coutinho (26th minute) and Mohammed Salah (52nd) gave the visitors 2-0 lead on Friday at London’s Emirates Stadium. But Arsenal hit back with goals within five minutes of Salah’s strike. Seemingly in the driver’s seat with a 2-0 advantage, the visitors proceeded to concede three goals in five minutes. The onslaught began within a minute of Salah’s goal, as Arsenal pulled one back on a ferocious header by Alexis Sanchez. Three minutes later, Granit Xhaka scored on a shot from 35 metres out that Liverpool keeper Simon Mignolet should have stopped. With the Emirates rocking, a give-and-go between Alexandre Lacazette and Mesut Özil culminated with the lattes slipping the ball past Mignolet to put Arsenal up 3-2. Yet the tide turned again in the 71st minute, as the ball took a Liverpool bounce and landed in the net after Cech made the initial stop against Roberto Firmino. The draw leaves Liverpool in fourth place with 35 points, one more than fifth-place Arsenal. “It’s true that I’m frustrated that at 3-2 we couldn’t keep the result but overall what can you say? 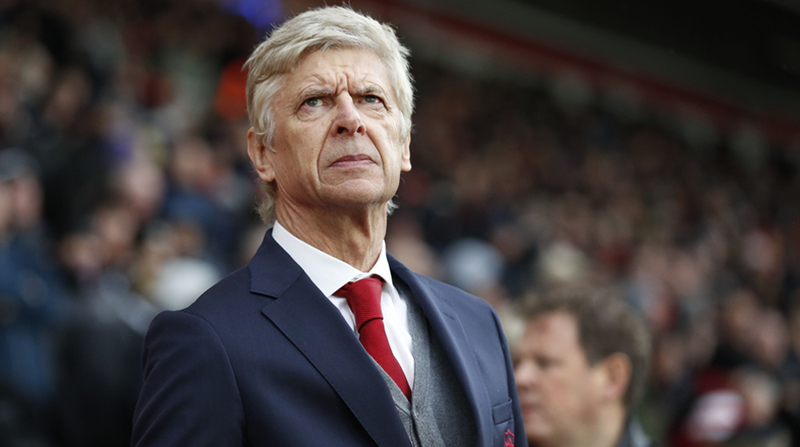 It was a fantastic game with quality going forward for both sides, us more on quick combinations, them more on fantastic counter-attacking pace and that’s why it was always an interesting game,” Wenger was quoted by the official website of Arsenal. “We defended well, but you know that with their quality going forward they can always score a goal. I hoped that we could score one as well and I think in the second half we were not so much in trouble, but they have quality everywhere going forward and it’s difficult to say that you guarantee that you don’t concede a goal,” Wenger added. Meanwhile, Liverpool coach Jurgen Klopp was quoted as saying by his club’s website: “We had five minutes where we were very often had obvious problems and individual problems — all the goals. It’s not in this case (about) the team defending. “Then, after these five minutes, we reacted then much better and deserved in the end the point. It’s the minimum that we deserved tonight. The result is not what we wanted, but the performance for 89 minutes was what we wanted,” the German tactician added.